– Congratulations to Om Mitharval for winning Bronze Medal in Men’s 50m Pistol #GC2018Shooting event at #GC2018 . – Shooter Shreyasi Singh wins Gold in Double Trap event taking India’s Gold tally to 12. India at Commonwealth Games 2018 live update, on Day 6, India stayed third in the table in Australia after Heena Sidhu won the solitary gold medal of the day. She won the women’s 25m pistol event at the 21st Commonwealth Games to take India’s gold medal tally to 11. With the win, Sidhu became the first Indian to win two medals at the ongoing games. The Belmont Shooting Centre saw a new record being set in the women’s 25 pistol event. Indian Heena Sidhu shot an impressive 38 as she lifted gold in the event. She went onto better the silver won by her in the 10m pistol event earlier at the games with an awe-inducing performance that saw her leave her opponents far behind. Success to Sindhu is no newbie though. Having one of the best years of her career, Sidhu proved that class is permanent and form is temporary. Facing Elena Galiabovitch of Australia in the final, Sidhu’s score of 38 saw her take the title in style after her opponent managed to score 35 to take silver.Malaysia’s Alia Sazana Azahari got bronze with 26. The win saw India’s medal tally in shooting go to 8, only behind the wrestlers who have managed a better haul till now. It was not all rosy for the Indian shooters though after heavyweights and sure shot medal prospects Chain Singh and Gagan Narang failed to win medals at the men’s 50m Rifle Prone event. It was particularly disappointing for Narang who finished a dismal 7th while Singh fell short of the bronze to finish fourth. Sachin Chaudhary finally opened the account for India’s para-athletes. He secured the second medal of the day by winning bronze in the men’s heavyweight category. A combined effort of 181 was enough for the experienced athlete to take India’s bronze tally to six. It was a field day for the hockey teams with both the men’s and women’s teams registering wins. A victory over Malaysia saw India seal their place into the semi-finals of the tournament with a game in hand. The women’s team got the better of the South Africans in their match by 1-0. 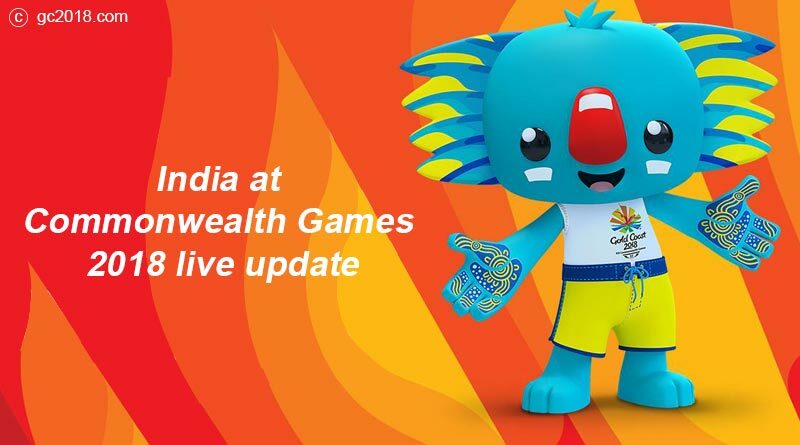 Stay tuned for more India at Commonwealth Games 2018 live update.